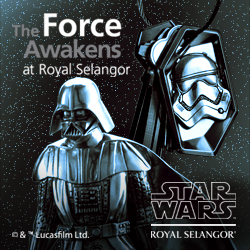 Home Film, Music & TV Star Wars Is BACK…. 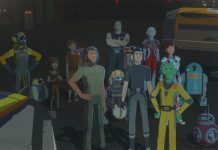 On TV with Star Wars Resistance! 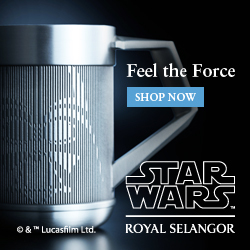 Star Wars Is BACK…. 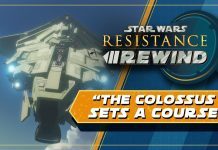 On TV with Star Wars Resistance! 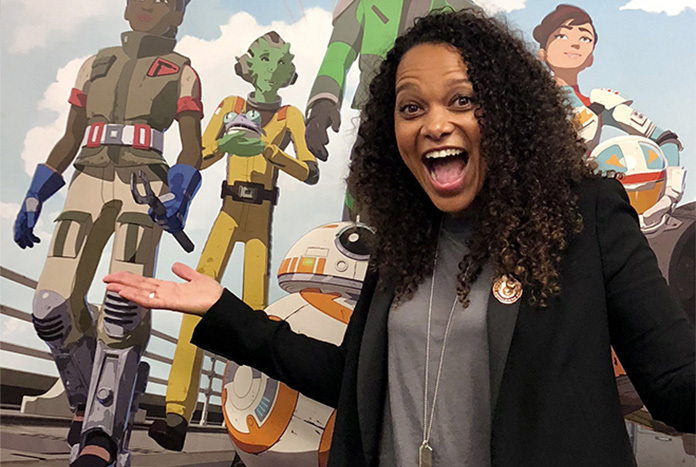 On Sept., 25, Lucasfilm held a special event press day for their 3rd animated series, Star Wars: Resistance. 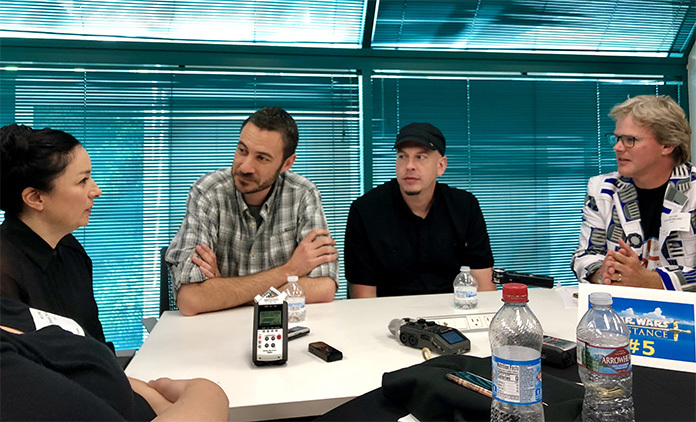 Staged at the Disney offices in Burbank, CA, selected cast and crew were in attendance and were ready to talk about this new Star Wars adventure originally created by Star Wars animation veteran, Dave Filoni. 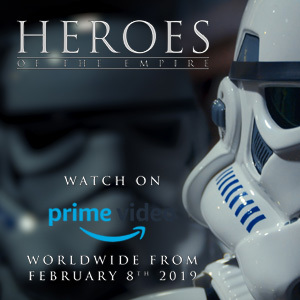 The series focuses on Kazuda (Kaz for short) Xiono, a young pilot who is recruited by Poe Dameron to join the Resistance and spy on the impending threat of the First Order. The time period for the show is set just months before the events of The Force Awakens so the First Order hasn’t shown their destructive power just yet and General Leia Organa’s Resistance is helping to secure the galaxy. Members of the press waited patiently as cast and crew were brought from table to table. Then it was showtime! Donald Faison is in the house! 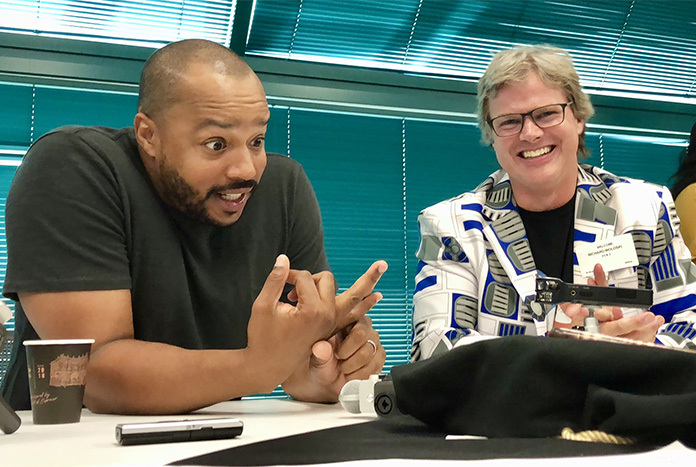 First up at our roundtable was Donald Faison who voices Hype Fazon, the hotshot pilot full of swagger and ego. I was really excited to meet him since I am a big fan of the NBC sitcom Scrubs. There he played Turk Turkelton who is a lot like Hype but instead of being an egocentric surgeon, he is now an egocentric pilot. He’s as energetic in person as he is in his performances from Scrubs to Robot Chicken. Donald got rolling into conversation right away. 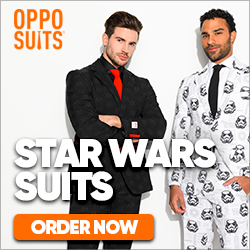 What really excites him is that he FINALLY gets to be part of the Star Wars universe. He made it just up to the finish line with the animated series that never made it on air, Star Wars: Detours, however, it was pulled after Disney bought Lucasfilm since it portrayed the characters in a silly way. And Donald is super-stoked to not just see his character in action figure form of all sizes but because they used his name for the character. How did Donald get the role of Hype Fazon? 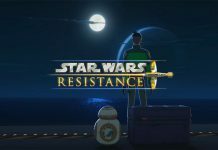 Since Star Wars Celebration Chicago is coming up April, 2019, it’s a sure bet there will be a Star Wars: Resistance panel. I just cannot wait to how Donald Faison’s excitement will fill the room. Sliding in next were executive producers Athena Portillo (sporting Leia hair buns), Justin Ridge and Brandon Auman. This is their baby, so they were excited to talk with us and find out what we thought of this new series. All three are new to the executive producer title. 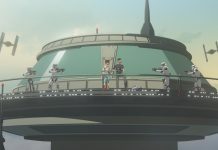 Athena Portillo and Justin Ridge have both been at Lucasfilm working on Star Wars: Clone Wars and Star Wars Rebels. Brandon Auman is the self-proclaimed “newbie”, having jumped ship from Teenage Mutant Ninja Turtles. The three went over background information which leads up to the main story and behind the scenes information that was good to know before going into the series…. I know what I thought as a semi-grown man, but I really wanted to know if this was screened for kids, and what was their response? I feel like we are in great hands with these animation veterans. As you can see, so much care is being put into every detail. 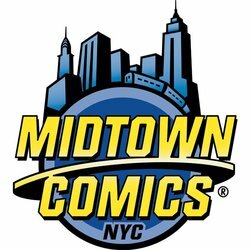 And if you are a fan of the classic creatures that were missing in The Force Awakens and The Last Jedi, you will not want to miss this show. 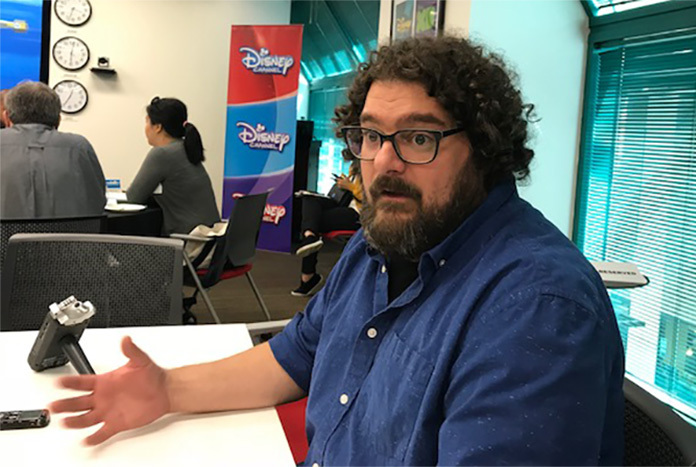 Bobby Moynihan, voice of Orka, was escorted over to us next. 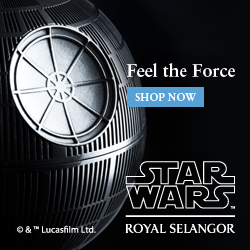 He struck it big in 2016 with Star Wars fans as the writer on the Saturday Night Live parody sketch, ‘Undercover Boss – Starkiller Base’. We all wanted to know about Orka since so little was known about him. His fandom ran all the way to adulthood and possibly saved his life. 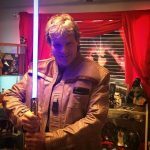 I know the sketch, Undercover Boss – Starkiller Base is property of NBC and SNL, but I’m sure at some point we’ll see Matt the Technician as an Easter Egg. My money is on season 2. Christopher Sean came around next. 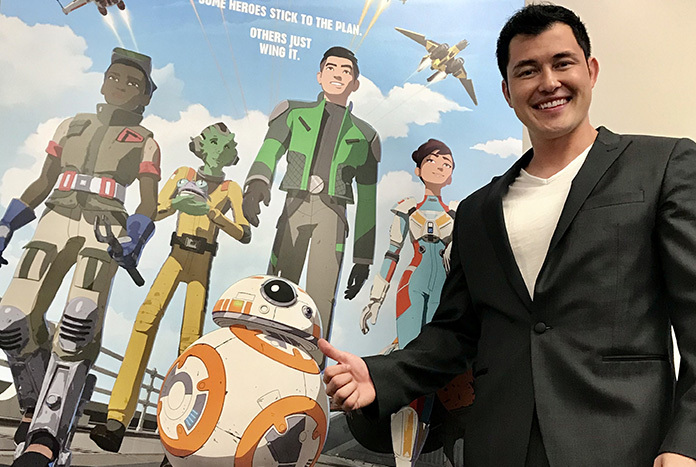 As the voice of ace pilot Kazuda (Kaz) Xiono, I was interested to hear what he had to say about his character and being associated with Star Wars. He was thunderstruck to land this starring role in this animated series so quickly, as it was only his 2nd voice over audition. Christopher Sean comes to us from Hawaii Five-O and a 4-year role in Days of Our Lives. We came out of the gate asking him what he would do when he sees cosplayers dressed as Kazuda at Star Wars Celebration in 2019. “They wouldn’t be cosplayers, they’d be #kazplayers!” Insert Mic Drop! It was nice that he pulled examples from on end of the Star Wars spectrum to the other, he definitely knows his stuff. And, his positivity is very infectious and can light up a room. Suzie McGrath will ask the questions now…. 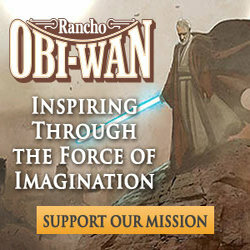 How far back does Star Wars go for you? “Tam aspires to be a pilot. She is very hard-working and she left her home planet of Kuat to be a famous racer and fell on some hard times. Crashed her plane and found herself on Colossus. What is the best part of portraying Tam Ryvora? Living in a world of social media, I asked her what would Tam’s hashtag be? All of which sums up this new incredible character that will inspire lots of little girls to be outspoken and get what they deserve. 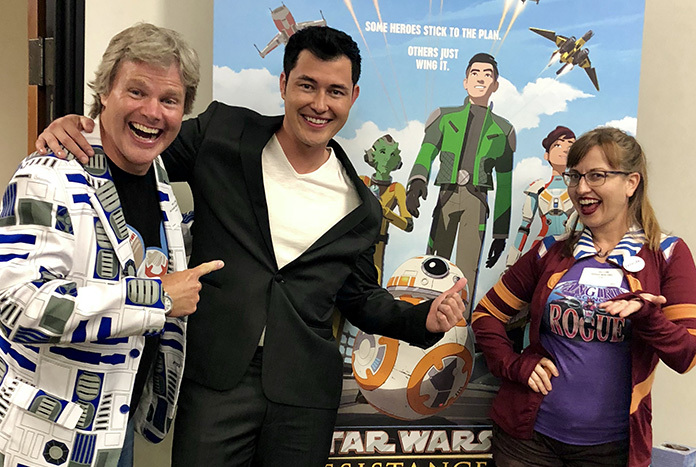 Afterwards, the remaining members of the press took pics with Christopher Sean and Suzie McGrath who like the recent batch of voice actors from Star Wars: The Clone Wars and Rebels, really knows how to make their fans feel special. 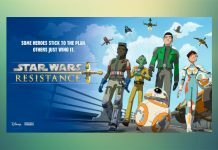 Star Wars: Resistance, which is aimed at kids 6-12 years, will premiere October 7th on the Disney Channel and Disney XD. UK transmission date to be confirmed soon, although it is scheduled for this month.